Patients with gum disease or with missing teeth should visit a practice with an experienced dentist. Dr. Wessell and his team are qualified to successfully treat periodontal disease and help patients avoid the pitfalls of chronic bad breath, tooth loss, and jawbone disorders. The entire Madison Dentistry team offers a level of hospitality that you don’t often see in healthcare settings. We have undergone ToPS training to ensure a smooth and enjoyable experience for every patient. You will always be listened to here, until we help you reach your unique goals. We are happy to offer the convenience of collaborative care at Madison Dentistry. All of the help you need is right here to help you reverse the effects of gum disease and tooth loss. At your first visit, Dr. Wessell will conduct a thorough assessment to learn more about your tooth and gum health. Please feel free to express any concerns you may have at this time. You are always welcome to our patient amenities to ensure total comfort during your visit. If you are diagnosed with gum disease, early treatment can significantly reduce the risk of lasting damage. Our dentist and team offer a variety of comfortable, noninvasive treatments that can get your oral health under control and reduce the risk of more serious complications. Deep cleaning procedures, called scaling and root planing procedures, can reduce the infection. Topical antimicrobials is another simple treatment to restore the health of your gums. For more advanced forms of periodontitis, other surgeries or procedures may be necessary. Keeping your gums healthy is one of the most important things you can do for your smile! 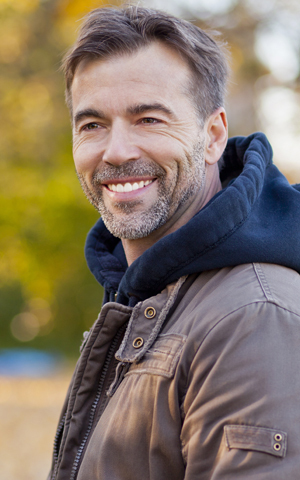 To learn more about periodontics at Madison Dentistry, contact our office today!